Continuing from my last post, one of the things I did whilst in Zim was get some clothes made. Until that point I hadn’t bought anything maternity because quite frankly its all hideous and unflattering…to/for me. 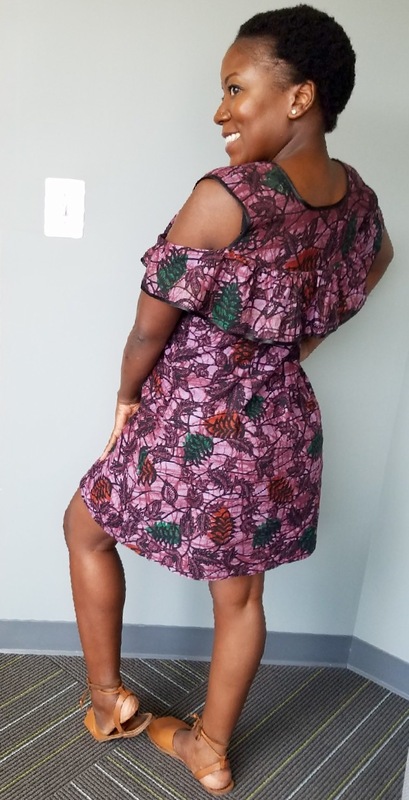 I wanted some cute African print somethings I could maybe even wear beyond pregnancy. My grandmother was, to anyone who knew her, a very very stylish lady even well into her goto-ness (grandmotherness). ALL, if not 95.9% of her clothes were African print dresses, skirts and tops and whatnots from fabric she’d collected from all her travels. She visited my mother in all the countries she lived in and did quite a bit of traveling herself to others. Those were a lot of countries and she had a LOT of clothes. Like the rooms that were ours when we were little have closets full of her clothes. Her room’s entire wall of closet had more clothes….I’ll just leave it at a lot. In being my grandmother’s handbag when I was little and well into my adulthood while she was alive one of the things we enjoyed doing together when I’d be in Zim is going to her tailor maNdlovu. 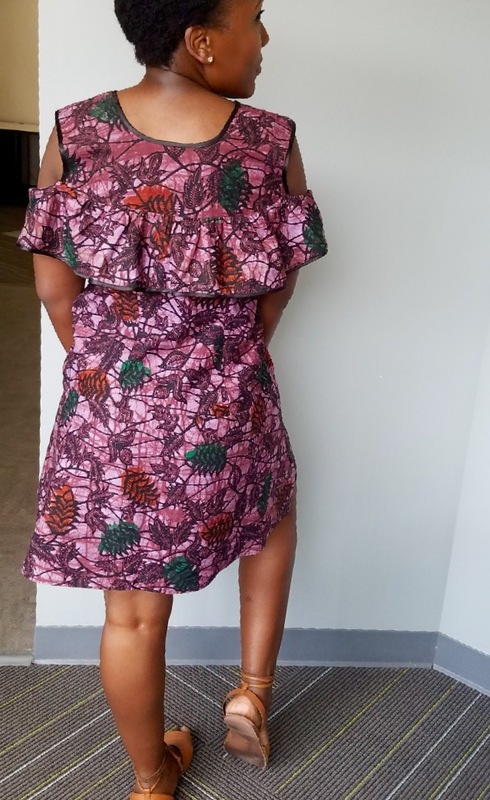 They had a very special relationship so while I was home in July I took a day where I picked 2 of my grandmother’s outfits whose print I liked and took those to maNdlovu to upcycle them. At this point it had been a year since my grandmother’s passing and when i walked into her shop she started crying….and then I did too. I think especially that I was pregnant must have really touched her because she knows how my gogo would jokingly nag me about her great-grandchildren. MaNdlovu immediately recognized the outfits I brought because she’d sowed them. I had a couple of pictures for what I envisioned and of course she had to chime in about the length of the dress and the snugness of the dress I wanted…i had to sternly, but lovingly remind her she was not making a dress for gogo anymore and that gogo would have wanted me to wear whatever the hell i want. After all, in her own heyday, my gogo was a stylish shasha (fly girl)! Cut a long story short, today’s #afrofoto is what maNdlovu made. It’s cute in and of itself, but sooooooo far from what I showed her. She is one of those tailors, especially when you are first going to her, you need to go back to 7 times for the first 5 things she makes for you before she learns you. I’m glad it managed to be wearable post part. Although the way he dressed wasn’t much the focus on who the man was it somehow has managed to be a reoccuring thought to me since the end of Mandela’s time on earth December 5th. The thought was persistent as I scrolled through all the pictures that I saw on twitter, instagram and even when I watched Long Walk to Freedom at the screening a few weeks before at the Kennedy Center. I am not being superficial here and before you think/roll your eyes that am I really going to talk about a man’s clothes just hear me out. The clothes he wore at any time period that has pictures available were clean cut and simple. Stylish and practical. Like many of the roles he had throughout his life, you couldn’t and wouldn’t accuse him of being the fashionista of his days, but he dressed well. He wasn’t the fieriest orator, but he spoke well, he wasn’t the hottest politician of them all, but he looked good. Whatever it was he did, like his dressing, he was consistent and made a habit of GOOD and WELL. His hair was always neat and the signature part he rocked in his neatly combed and patted fro was cute. Subtle, but noticeable. Throughout his career as seen in pictures, the movie and real life, he was never shabby. In jail, after having been in for a few months, he petitioned the prison guards to give all the prisoners full trousers instead of the shorts that the black prisoners were forced to wear. Some of his comrades laughed because they couldn’t imagine why of all the things lacking in that setting why that would be important. He, having the mind and foresight he had, explained the principle of the difference between wearing trousers vs shorts as a Black man in Apartheid South Africa. Once the requestwas granted and the prisoners were wearing pants a shift happened. The guards were more respectful to the prisoners and he prisoners themselves carried themselves with a little more outward dignity. A subtle, but significant change prompted by the simple, but powerful man. I find his use of his own sense of style fascinating because it was so subtle, yet so distinct and influenced how he carried himself and how he was received. He made such a strong statement by being so understated in his dress and overall mannerisms. May he forever live in our hearts and rest in peace…and inspire other men to know themselves and dress accordingly. Had a very slow start to the day today and then once i got showered and dressed the pace picked up and it has so far been a glorious day! So far so good with my photo-a-day challenge to keep me blogging. I went to Silver Spring and as I was walking down the closed off street where there was a street concert going on, i came across a large crowd of people gathered around an opening where nothing was happening. My cousin and I decided to linger and let our curiosity have it’s way….BOY am i glad we did!!! I have a great video lined up for you all!! !